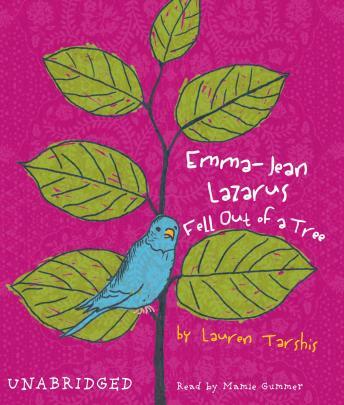 Emma-Jean Lazarus is the smartest–and definitely the strangest–girl at William Gladstone Middle School. Her fellow seventh graders don’t understand her. But that’s okay, since Emma-Jean doesn’t understand them either. Emma-Jean has always considered it prudent to keep her distance, to observe from afar. Until one afternoon, when she walks into the girls’ room and discovers Colleen Pomerantz sobbing at the sink. Colleen is one of those girls who cares a lot! About everything! And now the meanest girl in school is trying to steal her best friend, and the only one who seems to care is Emma-Jean Lazarus. So our story begins, in the girls’ room, as two very different girls begin a journey that is sure to send one of them tumbling out of a tree . . .